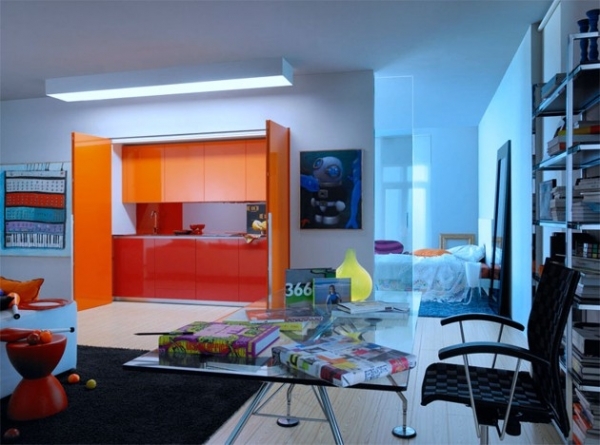 Do you like the modern interiors? 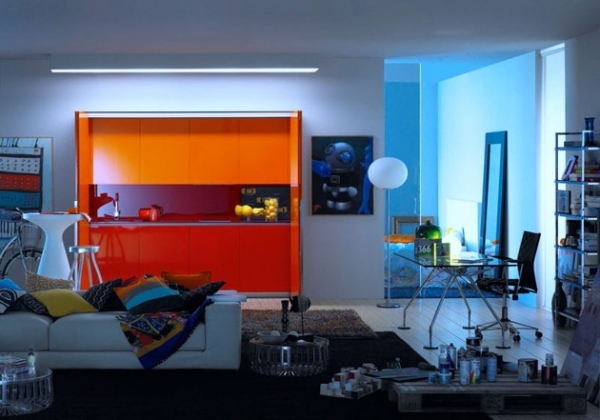 Ever since we presented you the amazing Italian residence Casa Micheli, we have become great fans. 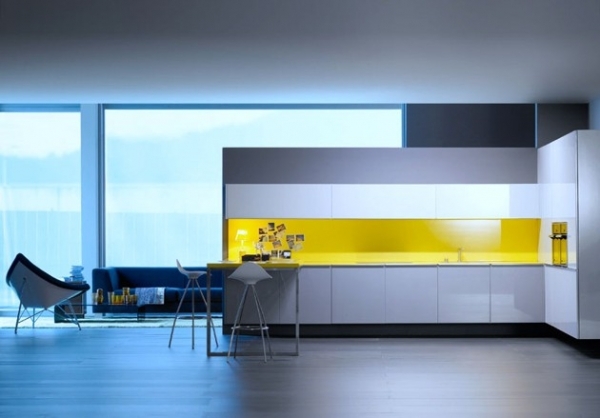 Take a look at these innovative and colorful kitchen concepts made by the famous company Logoscoop which aims to reflect each client personality making the kitchen designs more individual. Here is a proof of their mastery solved in red and orange with folding doors! 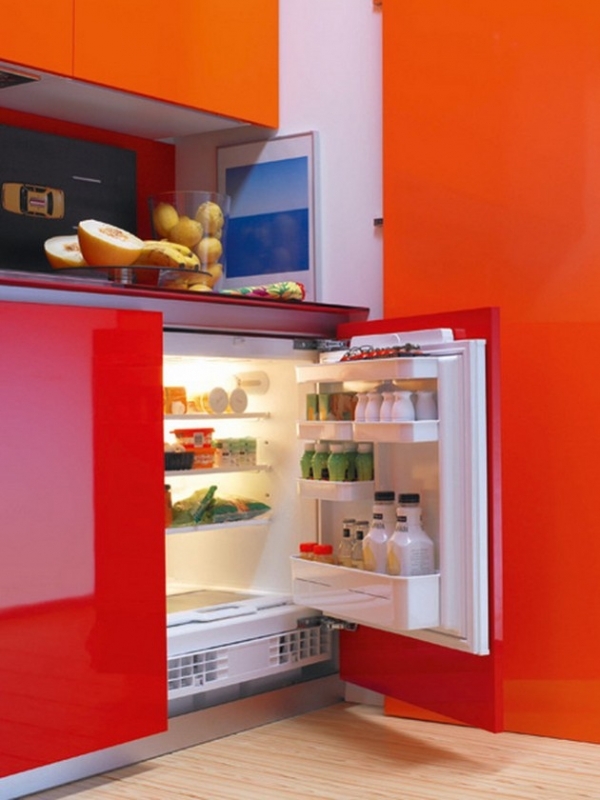 The concealed kitchen with a mini refrigerator is definitely an adorable and creative idea! 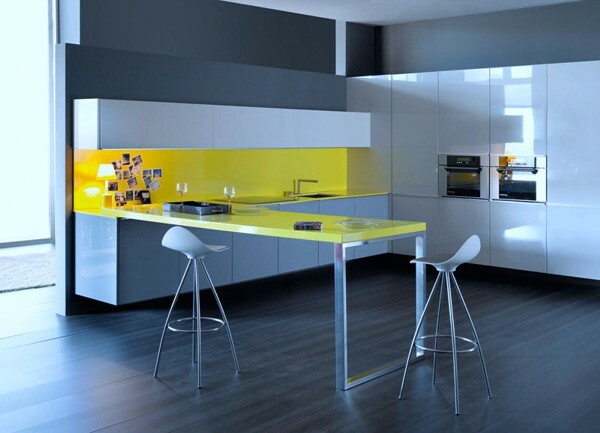 Minimalist style in cool and sleek lines defines these modern kitchens. 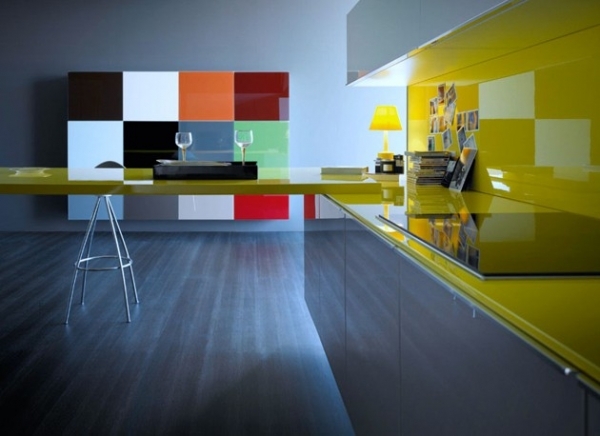 You just can’t feel bored while cooking in a multicolor cheerful kitchen as this one! 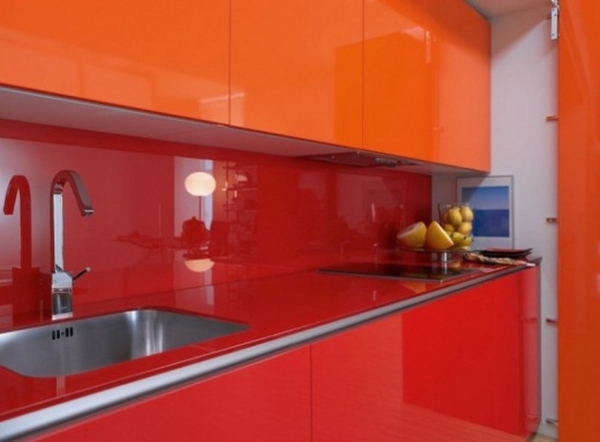 These designs can be an inspiration to either simply renovate, or make your kitchen entirely up-to-date and colorful!